Got your new ride online? Now consider a car shipping company to deliver it to your door. E-commerce has made the purchase of goods easy this day including a car. Yes, you can buy a car online. Congratulations on your new car, you cannot wait to hear the sound of the engine and take your first spin. However, you are confused on how to transport the car from the location of the seller. Despite how tempting it will be for you to travel across many states to bring your new beats home, it’s not worth it. You will be increasing the cost of purchase. Don’t be in a rush to go get it; take a look at car shipping companies like ShipYourCarNow.com that can help. If your car you bought is more than a 100 miles away, it could be a long journey. Aside from the stress of going over to bring back your car, you will be incurring an extra cost if you plan to drive your new car home from wherever you bought it, as you will also need someone to go with you. Or rent a car, taxi, Uber, what have you… The smartest move could be to contact an auto shipping company to help in transporting your new whip to its new home. In reality, driving back home will cost you more than you’ll bargain for. Follow the advice of most online buyers, ship it home without any extra stress. Due to the euphoria of buying a new car, you are definitely not convinced yet on why you need to hire a car shipping company. The cost of fuelling your new car home could cost you a whole lot depending on the distance, you will have to continually quench the thirst of your new car at every interval. Fuel is not your only expenses, if you cannot make the journey in just a few hours, and you may need to pay for hotel accommodation along the way. Be reminded that you will also be depriving yourself of good sleep by driving home your new car and if you are not the type with experience of long trip driving, you may end up spending extra days on the road. All these considerations are just minor, you are putting an extra mileage on your new car right from the point of purchase by driving home. This is like reducing the worth of your car right from day one. Why not preserve the value of your car by contracting a car transport? Auto shipping companies like ShipYourCarNow.com know your fear. You are concerned about the health of your new car would want to ascertain the true state before it leaves the garage of the seller. Checking the mechanical and physical health can be an option carried out by a trustworthy shipper. Congrats on the purchase of your vehicle online (or even through a dealership that might have helped you but is a far away). Consider the expense of going to get your vehicle. 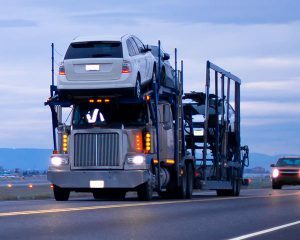 If it is more than 100 or so miles away, consider shipping your vehicle with a qualified car shipping company. Expenses could be travel, time, wear and tear on your new vehicle, and more. Once you have your new ride. Enjoy! If shipping your vehicle is an option, please consider ShipYourCarNow.com and thank you.